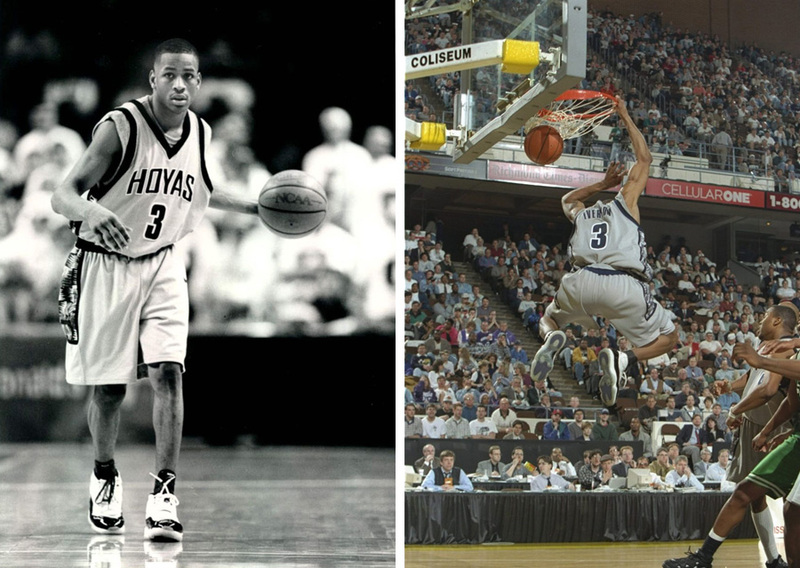 With Jordan Brand's all new Hoya-themed display being unveiled today at Nike DC, check out the first time Js were worn by a Hoya. At the grand opening of Nike's new Washington DC Brand Experience Door today, a full display of Air Jordans styled in Georgetown's iconic grey and navy color scheme was on hand. 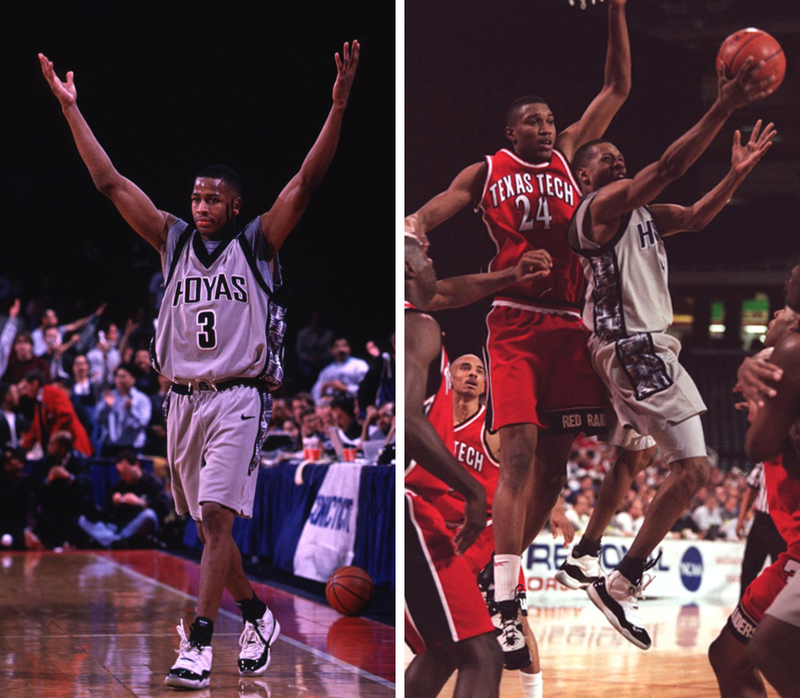 Seeing classics like the III, V, patent XI and all things Roman in Hoya-themed getups certainly has caught everyone's attention, but the relationship between school and brand have for years gone much further. It was of course thirty years ago when a young freshman named Mike Jordan lifted the University of North Carolina over the Hoyas with his baseline game winning jumper in the '82 National Championship. Jordan's parents would often joke, "After that shot, he went from being Mike Jordan to Michael Jordan." 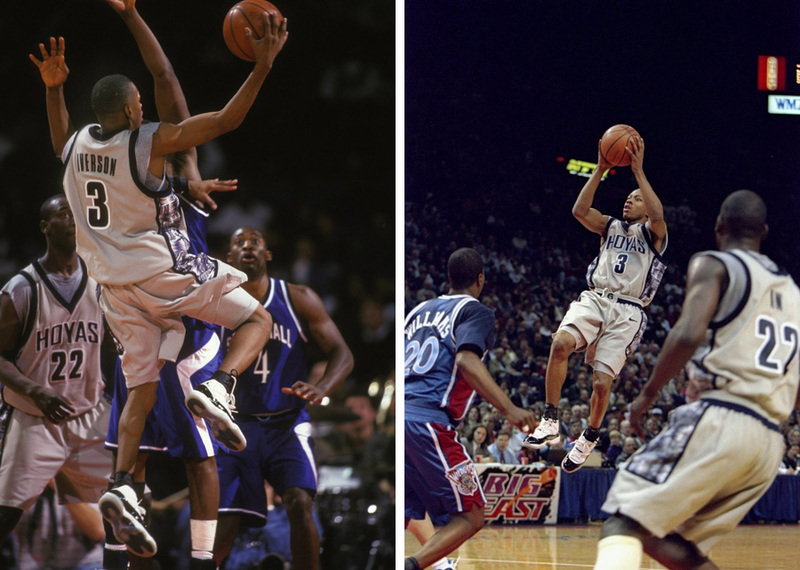 Fast foward almost fifteen seasons to the '95-'96 campaign and Michael's signature Air Jordan sneaker hit the court on a Hoya for the first time, as Allen Iverson wore the bold patent leather XI for much of the season. It was just a year before he'd get his very own signature series, and MJ inspired AI every step of the way as he looked to carve out his own sneaker legacy. 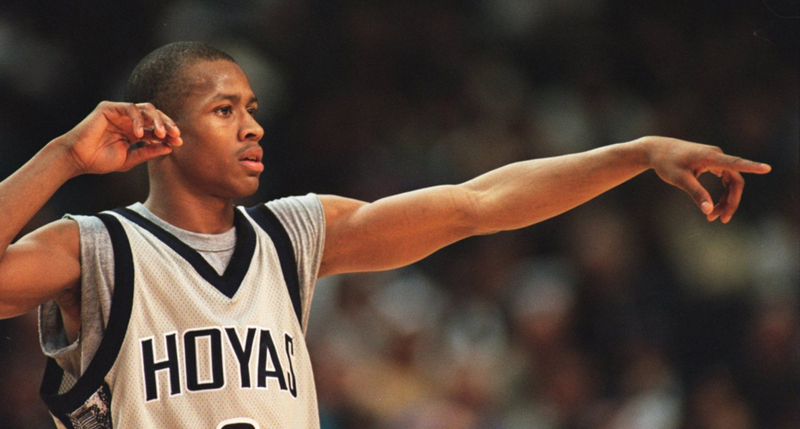 "He made me want to do this whole thing," Iverson said this summer. "He gave me the dream of having my own shoe. He started it all." 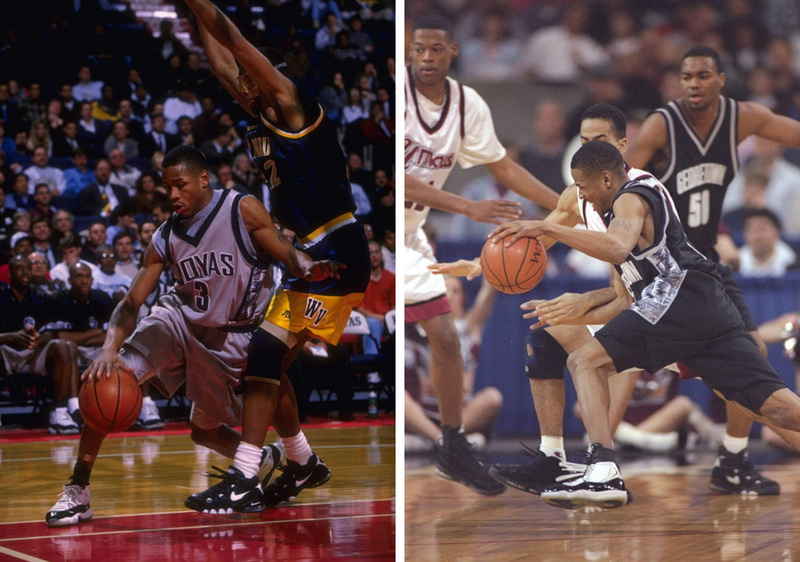 Take a Throwback Thursday trip down memory lane and check out Iverson in the Concord Air Jordan XI all these years later. 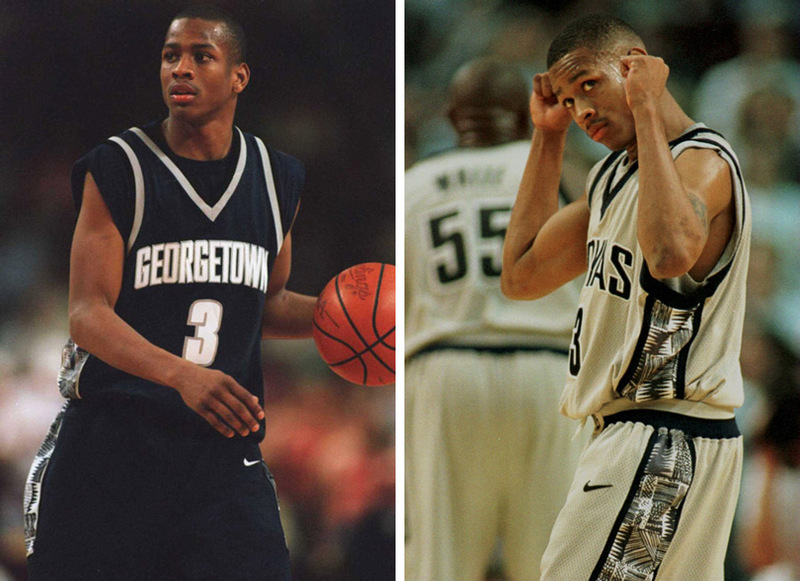 Be sure to definitely check out the Air Jordan Georgetown series created to celebrate the school's ongoing Team Jordan status that first began in 2005.